Talk about throwing your clout around. Bethesda knows it has the hottest RPG series on the planet right now in The Elder Scrolls after Skyrim blew the rest of the competition out of the water critically and financially, and it is using that common knowledge to get something unprecedented to happen. The RPG publisher is actually trying to get Microsoft to waive Xbox Live subscription fees for its upcoming online RPG, The Elder Scrolls Online. Bethesda Vice President of PR and Marketing Pete Hines stated in an interview with OXM that the two companies were in talks, attempting to work out a solution. "The answer right now is that's the way it works, but it's something that we're aware of and we keep pushing on, to see if there's something that can be done. We'll let you know if there's movement there." What is really holding back the MMORPG genre from blooming on the console market are the stiff subscription fees that must be paid to play them. $15 a month could be a lot to shell out if you are on a tight budget, and it is even difficult to pay when you are already subscribing to an Internet gaming service like Xbox Live. Nobody wants to pay two subscriptions to play online video games, and some would rather stick to the more popular free-to-play models, which have given online gaming a second round on consoles these days. Bethesda does not want that to happen, but it would rather see Microsoft drop its fees than be forced to sacrifice its own. Hines describes the company's decision to go with a subscription based payment plan. "What's cool about having a subscription model for us, is that firstly we don't have any gates on the content – Elder Scrolls is very much a game about going wherever you want to, and if you're randomly running into artificial [obstacles] where you have to pay, it just doesn't feel right,"
Hines made no mention of talks with Sony to get them to drop the fees required to play online games on the PlayStation 4. While I would normally find it unlikely for Microsoft to succumb to strong-arming from a moderately successful video game publisher, the Xbox Team has been on a hot streak of going back on many of its policies as of late. Allowing Bethesda to do this would make a ridiculous precedent, opening the doors for other publishers to make the same arguments. At the same time, denying them the option will be charging gamers double for online gaming, scaring away many gamers to PC Gaming, and something tells me that Bethesda isn't the one who will emerge with egg on its face after this one. The Elder Scrolls Online's subscription fees are not popular, but neither is being forced to pay for Xbox Live Gold. Doesn't Microsoft ever get a break anymore? 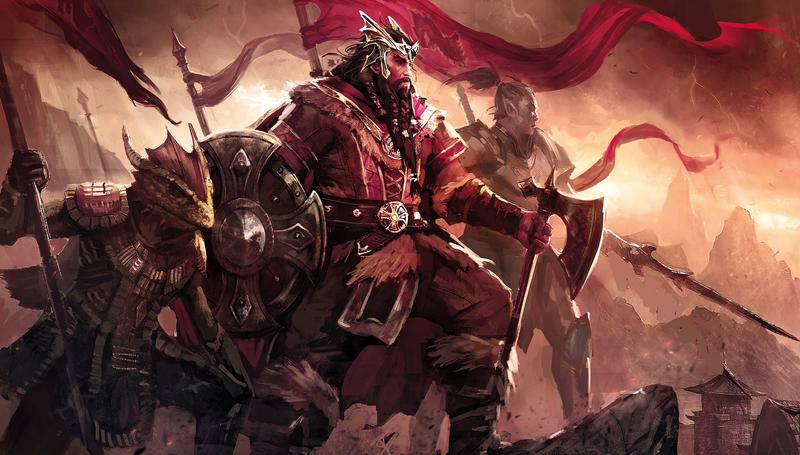 The Elder Scrolls Online will launch for the PlayStation 4, Xbox One and PC in Q1 of 2014.